American Express Centurion Lounges are great. They’re stylish, offer complimentary real hot and cold food items and a complimentary tended bar. The Dallas Fort-Worth and Miami lounges have complimentary spas. There are kids rooms, showers in most. And customer service is great. The challenge is that, to borrow from Yogi Berra, they’re so good I don’t go there anymore. I used to make an effort to spend time in the lounges before flight. But I find lounges where I have to scramble to find a table and dodge and weave other customers at the buffet not to be respites from the terminal. It’s worth noting that the new Houston Centurion lounge has remained peaceful and quiet when I’ve been in, likely owing to its location. And also that there’s a secret to always finding space in the Dallas lounge. 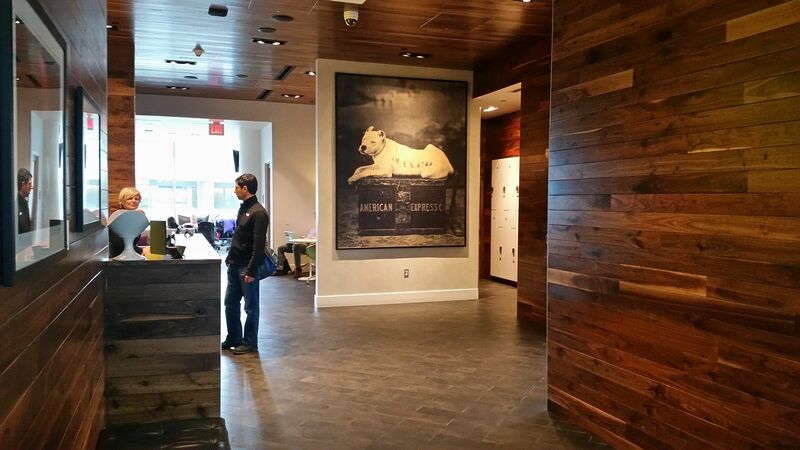 It looks like American Express is doing something about overcrowding. The Centurion Lounge access page hasn’t been updated. It still describes the old guest rules. Centurion® Members and Platinum Card® Members who receive complimentary access may enter with either up to two guests or immediate family (spouse or domestic partner, and children under 18) at no additional charge. Guest or family access is per Card Member, not per Card. Family and guests may not enter or remain in the lounge unless accompanied in the lounge by the Card Member. If you purchase a one-day pass, your children under 18 may accompany you at no additional charge. You must purchase a one-day pass for any additional guests. So a cardmember and spouse plus two children will need to spend $50 to bring in the second child. My own preferred solution would be limiting the number of visits each Platinum cardholder can have for free, rather than limiting the number of people who can be brought in on each visit. Charge cardmembers for visits after their first 20 in a year. 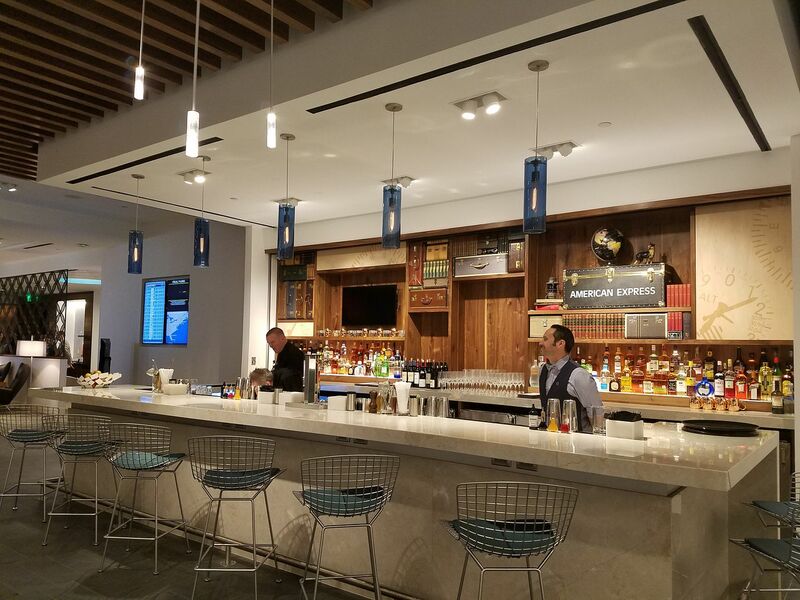 However since it’s generally not possible to simply get more space in airports than American Express already secures, and the lounges aren’t large enough to accommodate demand, they do need to do something. This is something, we’ll soon see what effect is has and whether it will make access to the lounges as sublime as when each one first opens and no one yet knows about them! Update: Remember you can get an authorized user card for a spouse, pay that fee, then you each get 2 guests.. if you travel as a family often that may be a worthwhile strategy, and your spouse gets card benefits like lounge access when they are alone too. @AllisonW – I’m curious what road warriors (or anyone for that matter) are putting large amounts of spend on the Platinum Card? I only use mine for the benefits and it only sees spend when I absolutely have to. I’d love to see the AMEX data on just how often families use the lounges. I’m sure there are some that travel often but my family hits an AMEX airport about once every two years. Seems like they’d want to keep my business since I’m pretty cheap on the cost end for them. I’d also guess that they’re really falling down by not tracking alcohol consumption by cardholder in the lounges, why not require a card swipe just to track that? I typically consume only one soft drink in the lounge so again, I’m cheap. I’m amazed that AMEX would push away business in an attempt to limit use of a benefit. And that they’ll still claim that the lounges are anything special. DFW’s lounge is filthy and breaking down with employees who rarely smile these days…and who routinely let too many guests in the lounge anyway. And maybe we need to argue that guests NOT family should be limited. If these guests are coming in for business reasons then let the businesses pay for the access. Are these businesses paying the annual fees on their employees’ cards? I doubt it. My family pays for 2 platinum cards but unless both of us are present we can only bring in 2 guests on one card and 0 on the absent member card. I think the obvious thing is to tie visits to spend. But what do I know. Not sure if this is related, but on my last visit to the D/FW lounge, I noticed the quality of the food and the customer service had declined. Maybe folks were having a bad day, but it seemed that management wasn’t on top of its game. Obviously if they’re going to charge more for the experience, this will have to be addressed. This is another sample how an excellent company with outstanding reputation and services. Going downhill, I be customer for more than 33 years. Remember amex the most important asset is your’s customer. Know have options in the market if you don’t want to loss more customers. Think twice what are you doing to us. They started this limiting access thing a few years ago by requiring a seat assignment on the boarding pass. I had lengthy discussions with them at the time. Their intent was to prevent airline employees from abusing club privileges. Of course, there are real revenue customers who sometimes do not have a seat assignment prior to a flight. One way around the rule is anyone can buy a refundable ticket for a same-day flight, pass security, use the boarding pass to access the club, then cancel the ticket. I have a friend who does this frequently. In my case, I did not renew my Platinum card rather than jump through hoops to gain access. During the year I had my membership, I noticed the quality of the club experience, especially the food, on the decline. I have two Amex Platinum’s- one personal and one business. Does this mean I can bring in 2 guests on each card? Don’t be surprised when you see a small child climbing out of someone’s rollaboard once they are in the lounge! I think it’s a step in the right direction; anything to dial back overcrowding. You’re spot on in that sometimes it’s not even worth fighting for a seat, etc., and that a more enjoyable time can be spent OUTSIDE the lounge. I never understood why the airlines allowed card companies to market (essentially) more than just 1 guest. A selling point, I presume, but I would bet good money that the overcrowding we’re seeing is because groups are coming in on 1 card. I’d be fine with some sort of tiered allowance, i.e. cardmember is free, 1st guest is $25, add’al 2 guests are $50 each, no more after that. It would encourage more people to get their own card or (as suggested in comments) add an additional card member. I have to think airlines and card companies will eventually get enough complaints to do more in limiting overcrowding. This just seems so bogus as a way to reduce crowding. If they want to say its a “business” lounge then so be it, just don’t try to say you are doing this due to the crowding issues. One other time I have ever even seen other kids in the lounge or kids room. Having a 2 year old, a 5 year old, my wife, and myself means now it costs $50 whenever we want to visit while neither of my kids eat a significant amount, have no alcohol, and generally spend 90% of their time in the kids room. I was on the fence renewing our one Amex Plat card anyway as we generally visit the lounges only about 2-3 times a year but do find it a very welcome respite when we can. The 5x airfare made me consider keeping it even with the increased fee mainly for the lounge visits on our leisure trips but I don’t see any way to justify spending essentially 650-700 a year primarily for access to the Centurion Lounges a few times. Looks like we will be flipping over to Chase and Citi fully now. Chasing families to Admirals Club . . .swell! I view the lounges as not being about alcohol, food or families. All those may be found in the main terminal boarding areas. It’s about peace and quiet and a place to conduct business, personal or professional, between flights and a place to get away from the high intensity of the main terminal. Hey AA, how about taking a clue from one of the commenters on this blog. Admirals Club member +1 and then $5-10 dollars for each additional guest up to four. $5 -10 is a small price for entertaining a business guest with a welcome respite away from the somewhat “controlled” chaos of the boarding areas and multitude of families.